While this year’s Song of the Summer might have some competition — DJ Khaled and Rihanna’s “Wild Thoughts” inched closer to No. 1 on this week’s chart — the presumed winner just achieved something even bigger than seasonal acclaim. 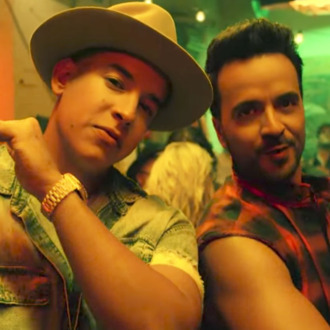 As of Wednesday, Luis Fonsi and Daddy Yankee’s “Despacito” has become the most globally streamed song in history, with the original and the Justin Bieber remix surpassing 4.6 billion streams combined across all services. Solidifying its status as an international phenomenon, the song broke the record in just six months. (Bieber’s “Sorry” was previously the world’s most streamed song.) In addition to extending its reign at No. 1 for ten consecutive weeks (the first Spanish song since the “Macarena” to go No. 1) and making history, “Despacito” was also the fastest-ever music video to reach 2 billion views (and that’s not even for the remix, which still does not have a video). Forget Song of the Summer — “Despacito” is fast on its way to becoming Song of the Decade. Maybe Bieber will eventually learn the words.